I fully intended to write a happy little article about the things my dog and I did this past weekend. Then I read an alarming article that I feel needs to be addressed. The article is called, Death Row Dogs. It tells about the amount of dogs and cats being euthanized across our country each and everyday. Let me start by saying this. It is extremely important to choose the correct dog for you and your family and not just “a” dog. 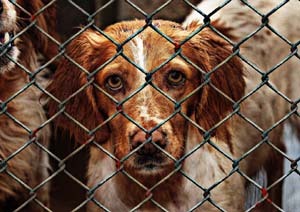 Make sure that it fits your lifestyle and skill level or it could become one of thousands of death row dogs. 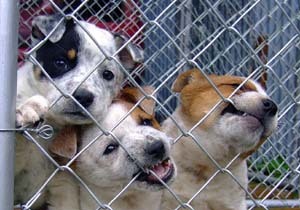 I say this because the article says that 4,109 dogs and cats will die TODAY in shelters across the country. This is not an isolated incident. It happens EVERY DAY. Statistics provided by the ASPCA show that approximately 1.5 million shelter animals are being euthanized (670,000 dogs and 860,000 cats) every year. That is one every 20 seconds. 1 dog and 1 cat have died since you have read this far into this article. Sadly, they were killed ONLY because they don’t have a home to go to. Many of these great pets are dumped by the side of the road and captured by local animal control officers. 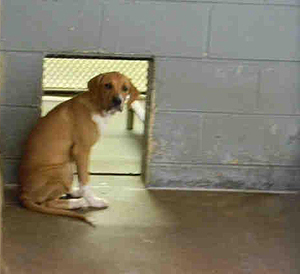 The rest are turned in to a shelter by their owners. They are surrendered because the owners are overwhelmed or unable to correct a variety of behavior issues. Other owners just get tired of them or are simply unwilling to take care of them any more. they hadn’t chewed on that shoe? After all, they were just playing. No one ever taught them not to chew on it. Instead, someone just angrily yelled at them in a language they didn’t understand. The real problem is that no one took time to buy a few toys or show the dog how to play with them. Maybe they could have kept the items out of the dog’s reach so it couldn’t even get near them. it had been housebroken properly? Rubbing the dog’s nose in what it did only made the dog afraid to go potty in the first place. There are some really good books, videos and obedience trainers that teach that wonderful dog how to go to the door. they didn’t bring fleas into the house? Being left in the unmowed yard for long periods of time without any anti-flea medicine didn’t help matters. The dog just couldn’t figure out how to get them off of himself. they would have tried harder to make their owners happy? Hitting, yelling and throwing things at them didn’t make them learn. their owner would have taken a few minute everyday to care for them, play with them and to teach them a few social skills and manners? When you are ready to get a family dog. Make sure you that you Choose the Right Dog! You don’t want to be one of those people who takes the dog to the pound because the newness wears off. Pay attention to your dog and it’s daily needs. If the dog is acting up, it’s not because the dog isn’t trying! A dog needs direction and training. It spends all day, every day, waiting for love. Waiting for you to teach them and spend time with them. If you aren’t doing your part that life in front of you WILL become a Death Row Dog.